As you guys know, we're cat people over here in the (never)homemaker household. We've had Scully, our feminine feline since the year I graduated college in 2005. Rivey, who we initially thought was a girl, but is actually a boy, joined us shortly after we moved into our house in 2008. Having two crazy cats definitely keeps us on our toes . . . in many ways. For example, no two people are made alike. And, well, no two cats are either. Am I right? 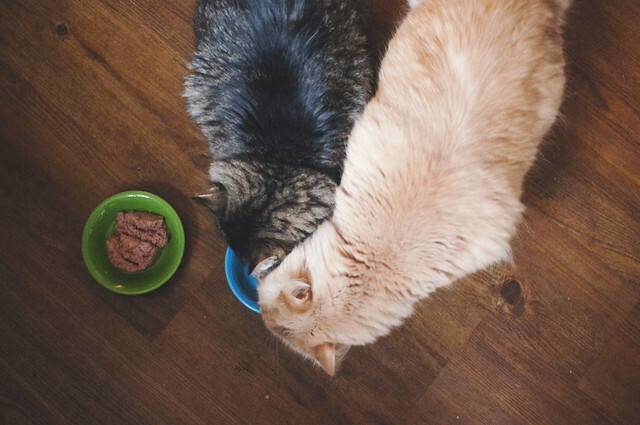 It became quickly apparent to us after we transitioned to a two-cat household that just because we have two kitties, they don't necessarily have the same preferences or tastes or much in common at all. This isn't to say they don't get along, but they are certainly individual. No place is this situation better marked than with diet. Scully has always favored dry food, through and through. Rivey, on the other hand, has quite a taste for the wet stuff -- but his stomach doesn't always agree with him. Anyway, we've typically fed the cats the same dry food because it was cost effective, seemingly gentle on their stomachs, and filled with enough nutrition to keep them healthy and thriving. We have, from time to time, let them indulge -- but we've saved wet foods mostly for special occasions. There are many times, though, when I stroll down the cat aisle at the grocery store and get these grand ideas of letting the cats feast on more than just prescribed pellets on the regular. So, when BlogHer recently offered us the opportunity to try out SHEBA® Entrées for Cats, I was excited for our furry friends. These meals are made without grains, corn, gluten, and have no artificial flavors or preservatives. What's more, their seafood entrees (our cats tend to like fish better than meat) are made with "responsibly sourced seafood and fish that follow the Monterey Bay Aquarium Seafood Watch ® recommendations." Oh, and as far as the main ingredient on the menu -- that's the protein/meat. 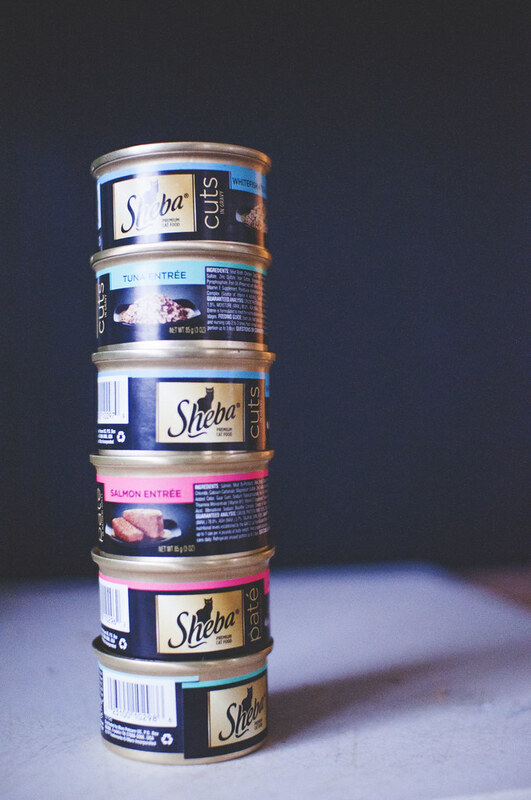 Overall, I have discovered that SHEBA® is a great brand, featuring meals, no, entrées, for kitties -- cuts and patés. There are lots of flavors from which to choose. 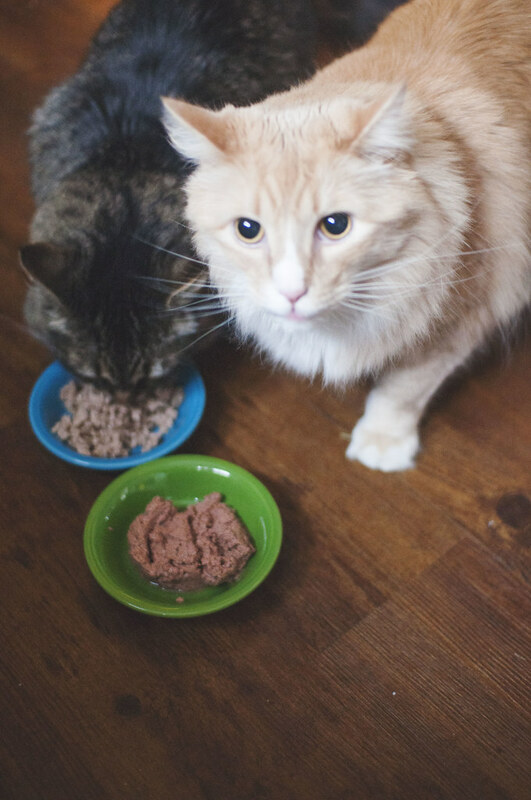 Our cats tried the Salmon paté entrées, the Tuna cuts entrées, and the Whitefish and Tuna cuts entrées varieties for this review. By far, Scully preferred the Tuna flavored cuts. Rivey went between all three on various days and didn't seem to have a clear preference. We'll likely keep wet food for special occasions or treats in this household. However, it's nice to have a new standby so that section at the store isn't so daunting. We scrutinize so much the food we put in our own mouths, but what we feed our animals is really just as important. Have you ever given SHEBA® a try? Let me know in the comments.